A woman died when a tree fell on the car she was driving Monday evening near Renton, just missing her 2-year-old in the back seat. 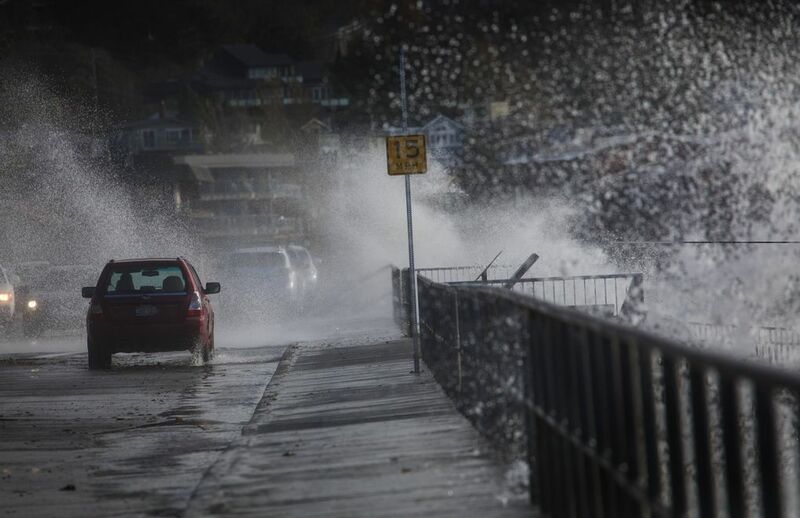 More than 150,000 customers were without power as gusts toppled trees and electrical lines. More winds are expected Tuesday. A 33-year-old mother was killed and two others seriously injured as a storm whipped through Western Washington Monday — first in the morning, then again during the evening commute — delivering damaging blows that snarled traffic, toppled power lines and felled trees that tore into cars and homes. 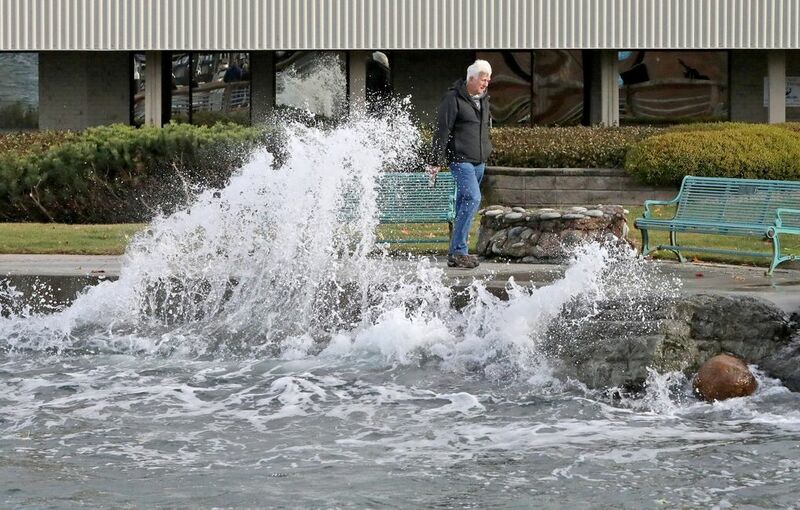 More winds are expected Tuesday, though not as severe, forecasters said. 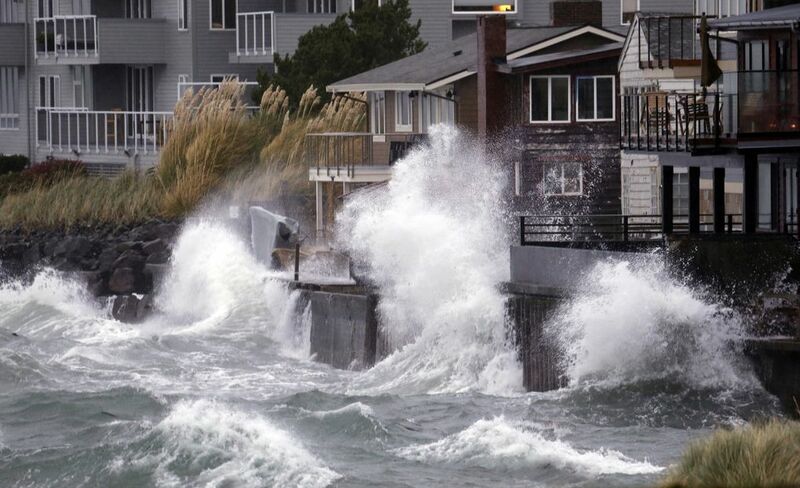 The National Weather Service reported a 68-mph gust in Seattle at 5:19 p.m. Monday. 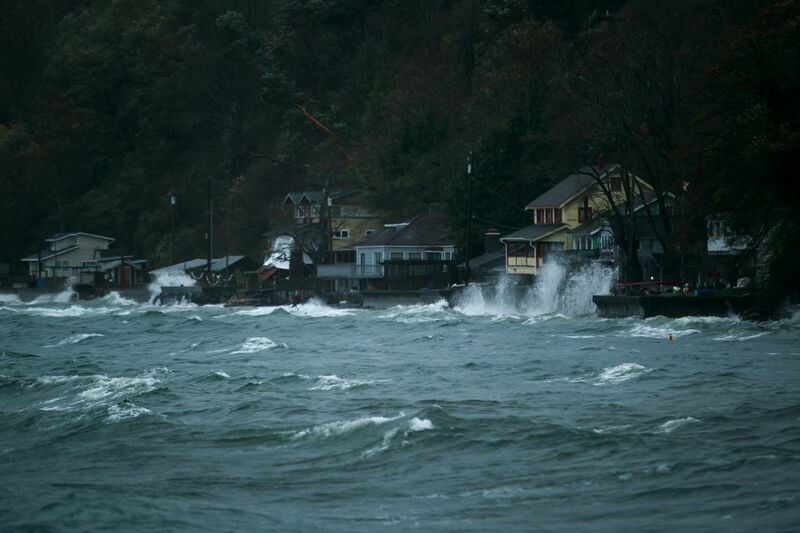 Winds hitting 83 mph were recorded in the Haro Strait west of San Juan Island earlier that day. In the fatality, a tree crashed into a car near Renton during the evening rush hour, killing the mother and critically injuring her sister in the front seat, according to the Renton Fire Department. A 2-year-old child of the deceased was OK, according to the fire department’s Twitter account. The tree fell directly on the front passenger compartment of the car in the 15900 block of Southeast 179th Street, according to Sgt. Jason Houck of the King County Sheriff’s Office. 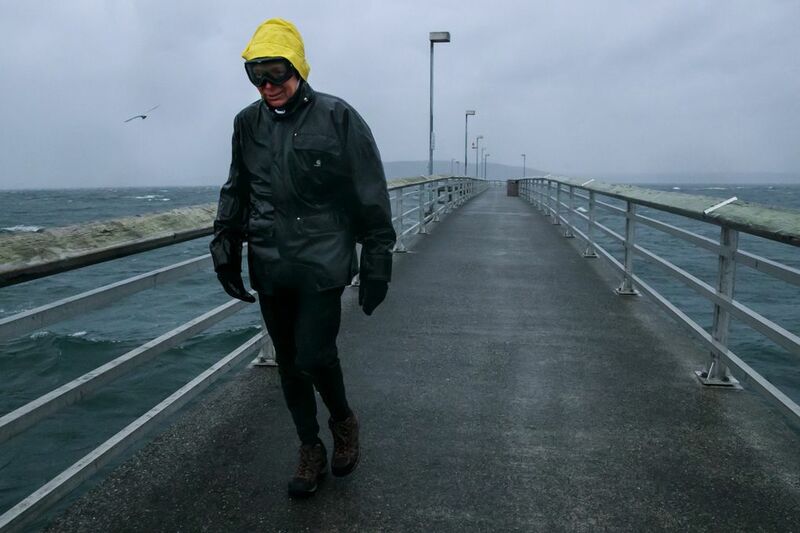 For weather updates, follow @NWSSeattle on Twitter, or check the agency’s website. 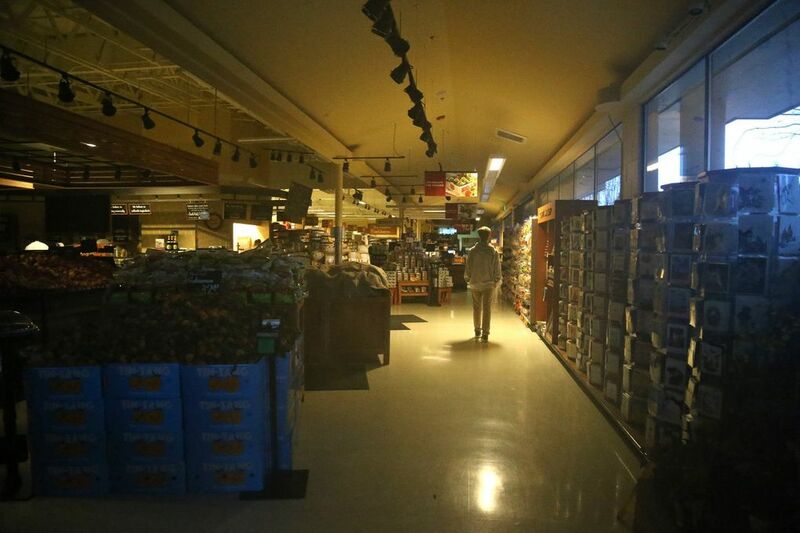 Here is the latest information on power outages from Seattle City Light and Puget Sound Energy. @wsdot_traffic is reporting roadway closures and traffic conditions. Houck said the tree was 30 inches in diameter and snapped 10 to 15 feet above the passing car. Neighbors who heard the collision rushed to help, but were unable to do anything for the two women, Houck said. The neighbors pulled the child from the car and comforted her until aid crews arrived, Houck said. The driver was pronounced dead at the scene, while the passenger was pulled from the car after the tree and roof of the car were removed. She suffered leg injuries and possible internal injuries, Houck said. A 15-year-old girl in Port Orchard suffered “very serious injuries” when a tree tore through the roof of her bedroom, pinning her down. The girl’s father and a neighbor worked to free the girl before emergency crews arrived. She was taken to Tacoma General Hospital, according to Kitsap County Sheriff’s Office spokesman Scott Wilson. A woman driving east on Interstate 90 in Bellevue was more fortunate. A tree fell onto her car in the Eastgate neighborhood around 6 p.m. She was the only person inside the badly damaged Honda. Bellevue firefighters helped the woman out of the car, and medics took her to a nearby hospital, according to the Washington State Patrol. She was in stable condition, possibly with a broken leg, according to Trooper Rick Johnson. 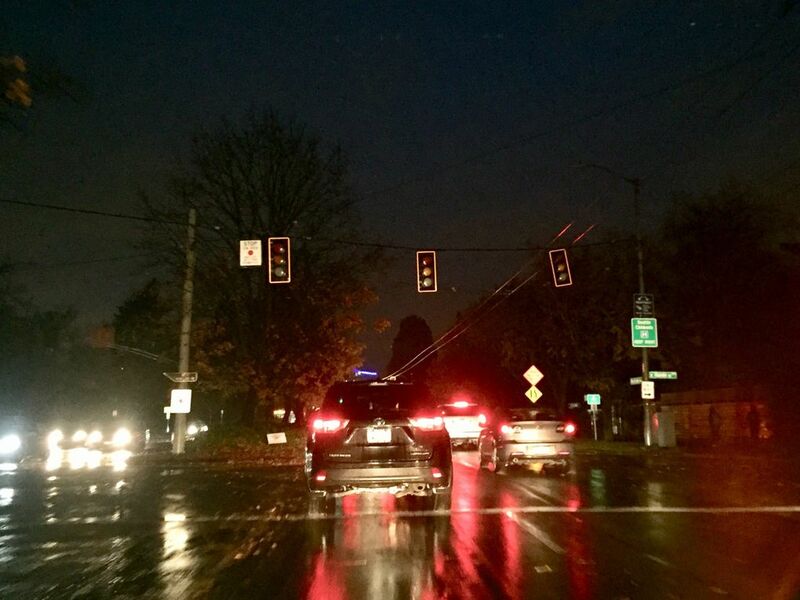 More than 150,000 customers in the Puget Sound were without power Monday evening at the height of the storm, and commuter traffic crawled as traffic lights were knocked out from Sammamish to Burien. 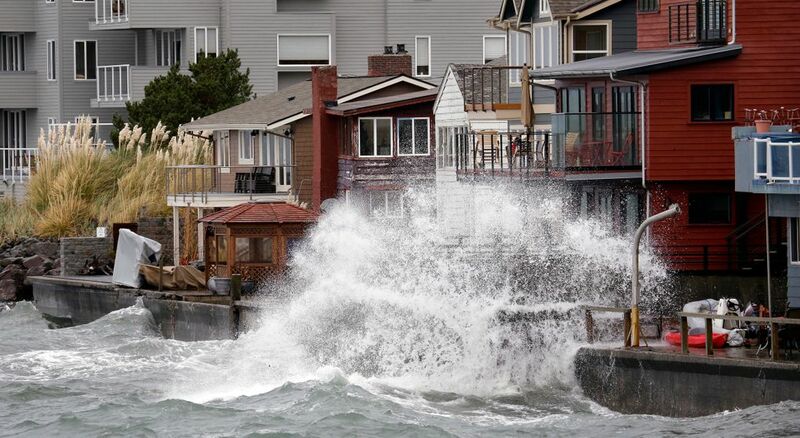 A National Weather Service wind warning was in effect until 9 p.m., upgraded from an advisory Monday morning. 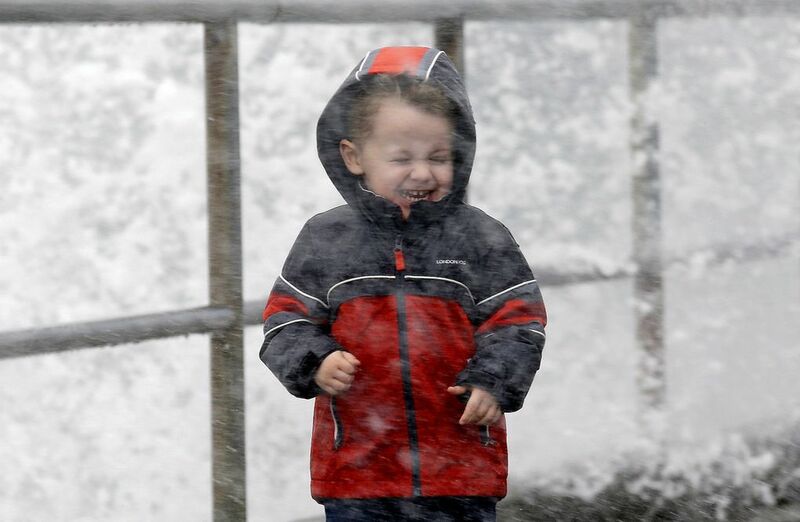 Winds were expected to gust to 40 mph Tuesday morning, said meteorologist Jeff Michalski, as another system moves in. 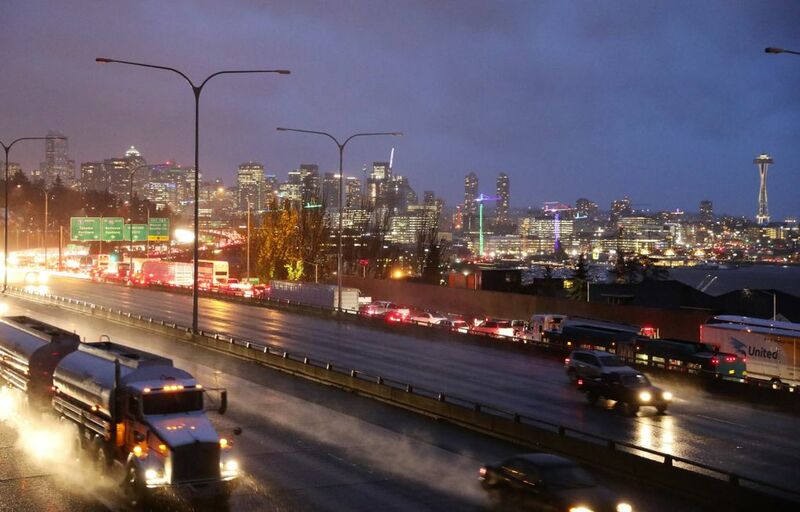 A tree fell onto northbound Interstate 5 at Northeast 175th Street on Monday afternoon, briefly blocking two lanes of traffic, according to the Washington State Department of Transportation. 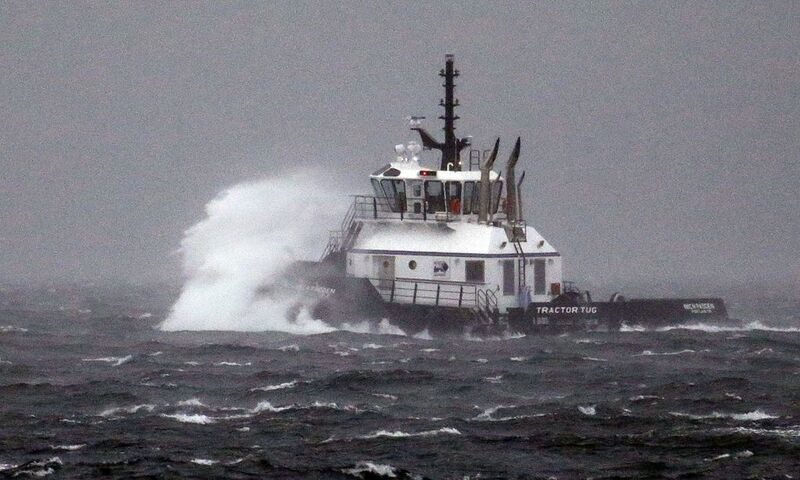 A 31-foot wave was recorded off the coast of Aberdeen early Monday afternoon. 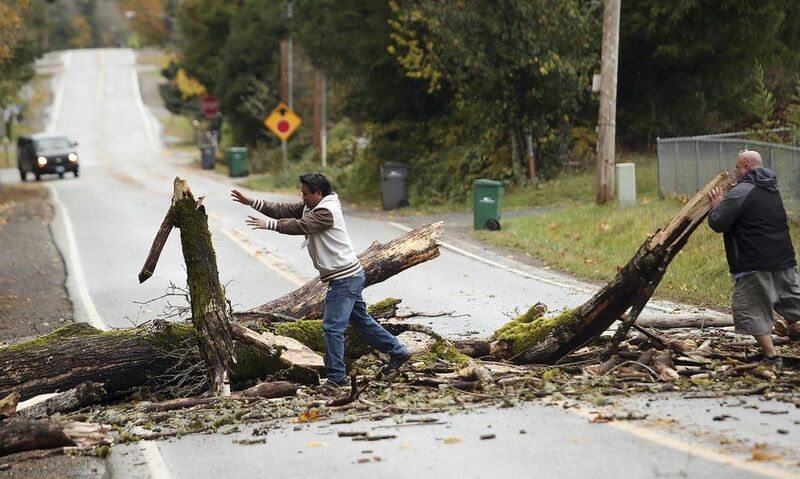 Southbound lanes of Highway 99 near Woodland Park Zoo were blocked during the evening rush hour by a downed tree, as well.